This �Layered Mother�s Day Dress� is just perfect to adorn your mother amazingly. 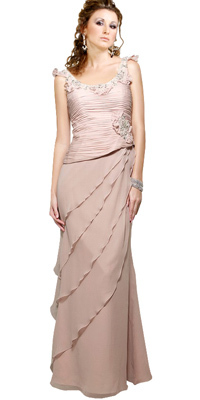 Top of this dress has beaded neckline, cap sleeves, ruching all over and brooch on the side. Skirt is layered.